On February 29th, Nevada state health officials closed the Endoscopy Center of Southern Nevada in Las Vegas after six patients were diagnosed with hepatitis C. These cases were noted in January, and the outbreak was traced back to nurse anesthetists at the Center reusing syringes to draw up medicine from single-use vials—for multiple patients. As a result, in the biggest public health notification in U.S. history, more than 40,000 people have been informed that they should be tested for hepatitis and HIV. “I find it baffling, frankly, that in this day and age anyone would think it was safe to reuse a syringe,” said Michael Bell, associate director for infection control at the Centers for Disease Control and Prevention. If that vial was contaminated with the blood of the first patient, any subsequent patients given medication from that vial could have been exposed to blood-borne pathogens. Less than a week after the facility was closed, in an unusual move, five of the nurses involved voluntarily surrendered their licenses. By all indications, the nurses were doing what they were told in administering anesthesia for procedures, and that it was standard practice at the clinic. 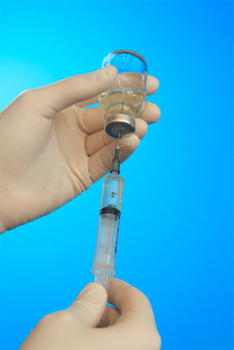 For its part, the American Association of Nurse Anesthetists (AANA) has condemned the unsafe injection practices. It seems to me that the “root cause” here is nothing more complicated than the owners of the clinic wanting to save a little money, and simply forcing the nurses to do what they knew was improper. There is no possibility that health care professionals would be ignorant about such basic infection control practices. Those involved just did not care. Indeed, in the wake of 2002 hepatitis outbreak in Norman, Oklahoma, AANA had run a survey to learn more about practices and attitudes on needle and syringe reuse. Three percent of anesthesiologists who responded indicated they reuse needles and/or syringes on multiple patients. Nurse anesthetists, other physicians, conventional nurses, and oral surgeons reported reuse at one percent or less. Extrapolating from these findings, we can conclude that approximately 1,000 anesthesia professionals could have exposed more than a million patients to risks of contaminated needles and syringes. This statement is technically correct, but from a patient’s point of view, it is a distinction without a difference. Since anesthesia must always be given for these procedures, why even raise this issue? More than that, the traditional concern in endoscopic procedures has always been about the sterility of the scope, which is far more difficult to ensure. Cold comfort to know that the infections were transmitted by pure malfeasance! When was the last time you heard of someone getting hep C from a flu shot, for example? As if any more bad news were needed, Lisa Jones, head of the state licensing bureau, revealed that similar violations have been found at 13 outpatient surgical centers, in addition to the clinic that prompted the investigation. “We’re finding problems at a variety of different levels – medication reuse, in some cases syringe reuse in different procedures and functions. That’s why one of our very first actions is the need to get the word out on the street,” Jones said. Hospitals have complained for years about the lax oversight given to surgi-centers such as the facilities under investigation, and they surely have a point. One hopes that this case will inspire some big changes, including hard jail time for the perps involved and the national (not just statewide) revocation of their licenses.